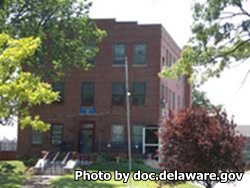 Webb Community Correctional Facility is located in Wilmington Delaware. It is a level IV facility that houses male offenders. This facility offers various work release programs that enable the offender to prepare for their eventual release. Inmate visits take place on Saturdays and Sundays each week. Visits are 8 a.m.-2:45 p.m. with a break for lunch between 10:45 a.m.-1 p.m. Schedule a visit over the telephone by calling the facility at 302-995-6129 between the hours of 8 a.m. and 2 p.m. on Wednesdays. You must have an appointment to visit. All visits are 45 minutes in duration..